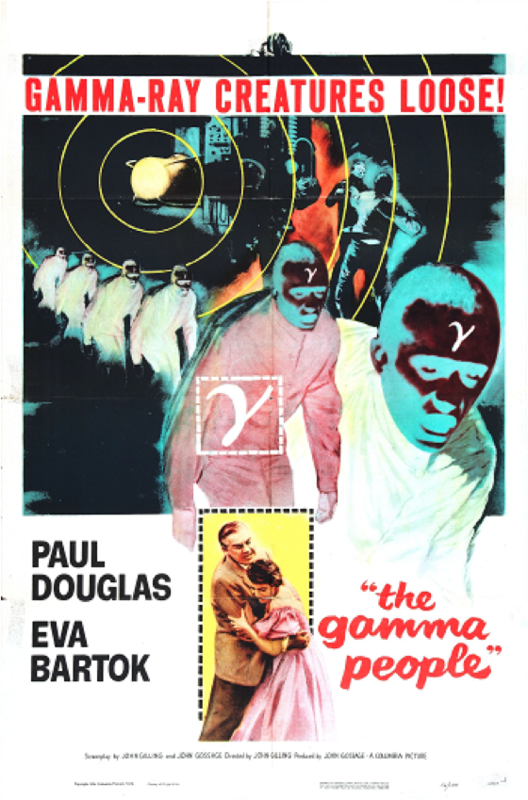 Original promotional poster for The Gamma People. A couple of weeks ago I had the pleasure of introducing a SciScreen event for Science London. They were showing the 1956 British SF film The Gamma People produced by Irving Allen and Cubby Broccoli. It just so happens that this is a film that I wrote about in an article on the relationship between genetics and 1950s SF cinema. It would be a stretch to call The Gamma People a classic of British cinema. It is certainly an interesting film blending together an odd fusion of genres including cerebral science fiction, mad scientist horror, mismatched buddy comedies and Cold War spy thrillers. The film’s plot involves two journalists whose train carriage accidently ends up in the fictional country of Gudavia that is run by mad scientist Dr. Boronski. Boronski has been zapping children with gamma rays in the hopes of improving their intelligence. Some times he creates geniuses like the character of Hugo and other times creating feeble minded individuals who serve as his mindless soldiers. The film co-stars American Paul Douglas as Mike Wilson and English comedian Leslie Philips as Howard Meade. Philips specialized in playing well-spoken English lotharios and he is most well-known for his roles in the Carry On films. The Gamma People comes across as not just a strange fusion of fictional genres, it also feels stylistically and thematically like a transitional film that is caught between the anti-Nazi films of the 1940s and the anti-communist films of the 1960s. Much of The Gamma People is built around a lingering fear and loathing of the Nazis. The films is set in the fictional Gudavia which is an alpine state where everyone speaks German and its police force dresses in costumes reminiscent of late 19th century parade uniforms associated with the German states. The uniforms of the gamma-irradiated children also recall images of Hitler youth in their short trousers, button-down shirts and long socks. The children’s leader, Hugo, conforms to the stereotypical Nazi ideal with his blonde hair and superior attitude. 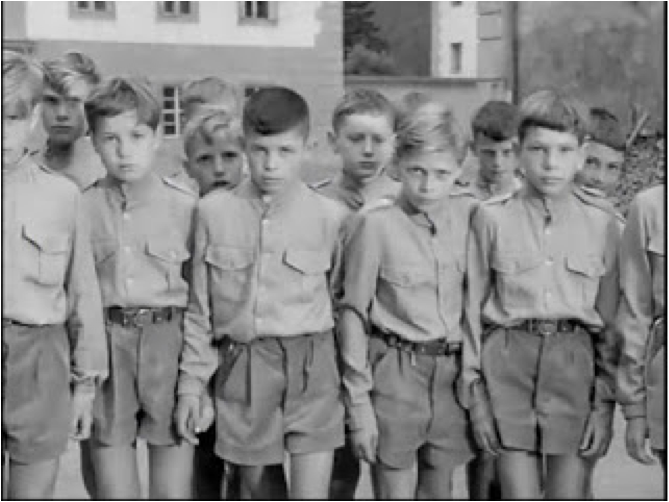 Film still from The Gamma People showing how Boronski’s experimental children are dressed in a manner reminiscent of Nazi Germany’s Hitler youth. Godzilla symbolizes the city-destroying capacity of atomic weaponry. Contemporary scientific discoveries have provided SF and horror filmmakers with a means for creating monsters for many years. 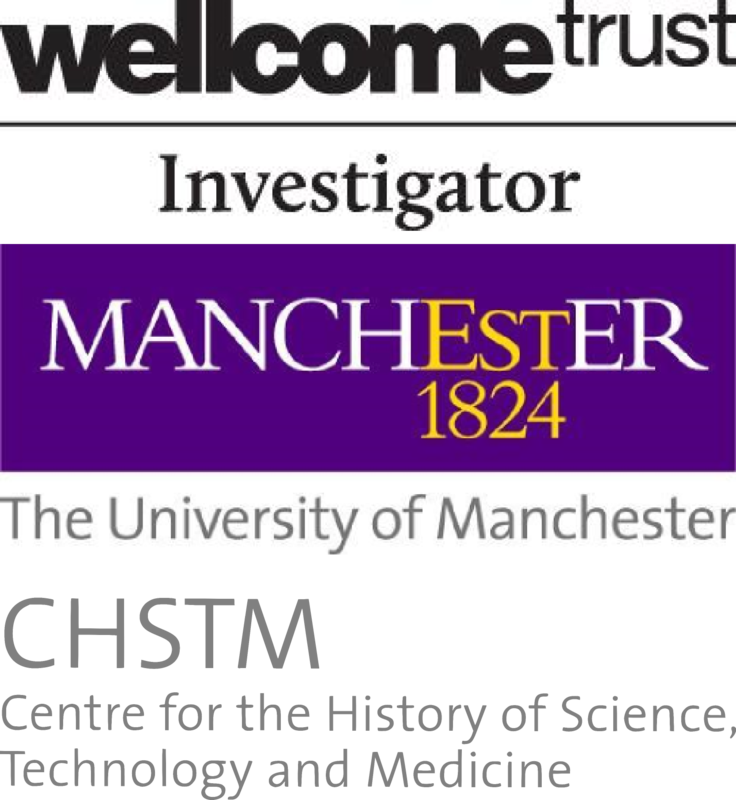 Science serves several purposes in these films. First, science provides plausible justifications for a film’s fantastical scenarios. This is why many filmmakers hire science consultants for their productions. But filmmakers also use science in horror films as a means by which to comment on what they find frightening about contemporary scientific developments. The link between headline science and SF movies is most evident in the use of radiation in SF films of the 1950s. Most often the inclusion of radiation in films of the 1950s represented Cold War anxieties about the possibility of nuclear destruction. 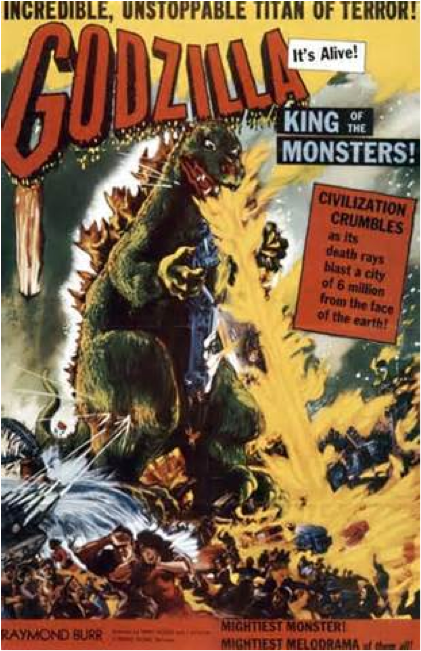 The destructive power of atomic bombs is certainly visualized in many films of the 1950s as a city-devouring monster who awakens after an atomic explosion as in The Beast from 20,000 Fathoms (1953), Godzilla (1956), and It Came from Beneath the Sea (1955). 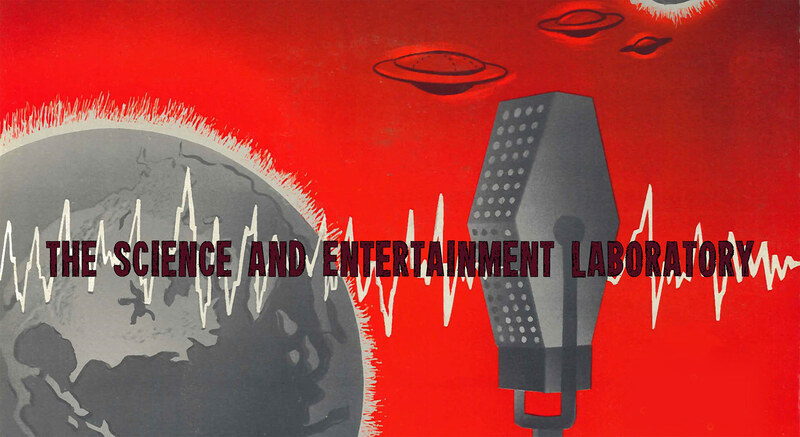 But the possibility of nuclear catastrophe was not the only threat radiation presented to 1950’s audiences. I have argued that societal fears over radiation’s impact on human genetics provided the narrative force for many SF films of the 1950s. Movies of the 1950s like Them! (1954) and the British made The Cosmic Monsters (1958) visualized the threat of radiation to our genetic material by showing monsters instantaneously created through exposure to radiation. The word mutation simply describes a change to an organism’s heritable material (DNA in the case of humans). Exposure to radiation significantly increases the rate at which mutations occur. Since mutations are rarely beneficial, radiation is seen as having a negative effect on an organism. Popular media in the 1950s were filled with dire warnings about the degradation of the human gene pool from continued atomic testing. Articles on the dangers of radiation to the human race appeared in many of the most popular magazines of the day including Time, Life, Look, and The Saturday Evening Post. Radiation-induced mutations create the giant ants in Them! There were also several popular science books on the issue including one written by eminent geneticists Bruce Wallace and T.H. Dobzhansky’s called Radiation, Genes, and Man (1959). 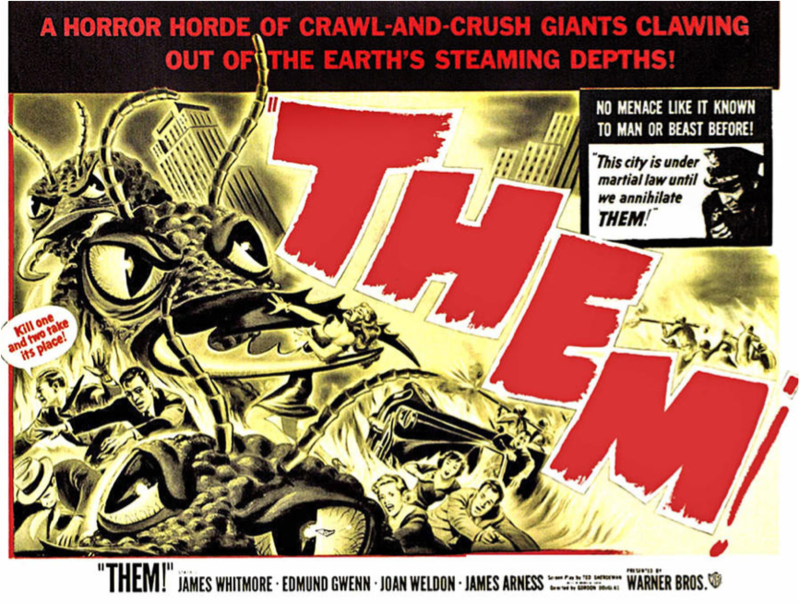 Anxiety over radiation’s long term genetic effects is clearly evident in the plots of several 1950s SF films like the Captive Women (1952) and Terror from the Year 5,000 (1958) where future humanity’s genetic material has been damaged irreparably by radiation that they attempt to replenish their gene pool by bringing a human from the “present” into the future. While the majority of mutations are deleterious, sometimes (very rarely) mutations can be beneficial for the organism. Since radiation increases the number of mutations both good and bad it raises the possibility that radiation could be used to accelerate evolution by increasing the overall number of good mutations within a species. In fact starting in the early-1950s scientists began using radiation for animal and crop breeding. Essentially scientists irradiated a bunch of seeds or animal embryos causing numerous mutations. Most of these mutations were deleterious causing the seeds and embryos to die. Inevitably, though, some of these mutations would be beneficial which led to bigger animals or better crop yields. 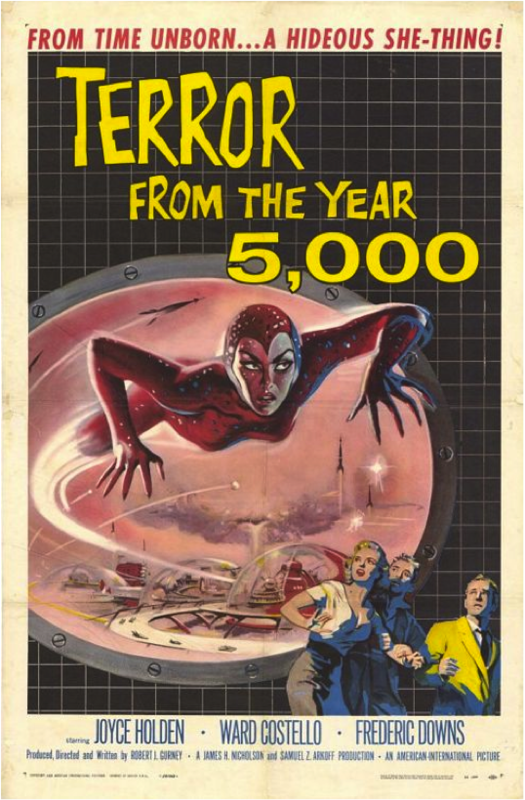 Fear that radiation in our present may destroy our future is captured in films like Terror from the Year 5,000. Theoretically, the same technique could be applied to humans in a eugenics-inspired attempt to accelerating human evolution and create a race of “superman.” This was the fear into which The Gamma People tapped. Would anyone be capable of employing this technique on humans given that it would inevitably lead to massive death or disfigurement for most embryos even if it could lead to a single superhuman? Well, at the time the filmmakers knew of one group who was certainly capable of employing this technique had they been aware of it: the Nazis. This is one reason why the film has such extensive Nazi imagery. But the Nazis were an example from the past; the bigger fear was that perhaps theSoviets were also willing to use this approach to create a superman. After all, the communist regime under Joseph Stalin seemed to show little regard for individual human lives. So, The Gamma People is also built upon a fear that the Soviets might be using radiation to create a superhuman race in secret. I am not too sure that the audience at the SciScreen event in London shared the same fears as 1950s audiences, but I am sure that the movie entertained them nonetheless. ← A Fistful of Science!